Don’t you wish you could listen in while a 6 figure per month wholesaler talks to a motivated seller? Many real estate wholesalers focus so much on “getting the lead” that they forget that a huge leverage point in closing more deals is the first 3 minutes on the phone with a motivated seller. Bryan Harris, the CEO of Homes For 10k, a 6-figure per month investor and Carrot member from Memphis Tennessee hopped on and walked us through 6 of his most important questions he asks during the initial motivated seller prospect call. But first, Bryan wanted to stress the importance of perhaps the single most important (yet simple) thing that most investors just flat fail at that is costing them deal after deal without them even knowing it. Talking with Bryan and several other real estate wholesalers and flippers who do $100k/mo in different markets around the country they always say they’re amazed at how few of their “competitors” call back the leads they get quickly. The bottom line there is a lot of competition, so call back your leads as soon as you get them in. There’s no such thing as too fast. Online leads can be a very impatient bunch. Competition can be Fierce. Leads have many other investors to contact, so they expect a very fast response to their inquiries. Ideally, you will respond to the with a phone call within a few minutes. Always be prepared to respond. Have your questions ready to go. You can be the best negotiator in the world… but if you’re not following Bryan’s advice above on calling back your web leads immediately… you’re competition could be grabbing deals out from under you before you even get the chance to call the seller. 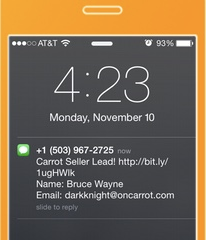 Quick Tip: Have your web leads instantly sent to your phone with a text message! The InvestorCarrot Instant Text Message Lead Notification feature sends you a text message as soon as leads come in so you can tap a button and call back your web leads immediately. This feature alone could possibly save you from losing a deal or more every year and pay for your Carrot membership for years and years and years. Not A Carrot Member Yet? Take a demo to see why the top investors are all switching to Carrot! So, you got a lead that came in over the web, GREAT! You already know that you NEED to call them back immediately and that every minute that passes your chances at turning it into a deal go down. Now, let’s dive into what Bryan Harris, a 6 figure per month wholesaler in Memphis says on the phone when he talks with motivated house sellers. Now let’s turn it over to Bryan! Brendan: Bryan, it’s all you man! Bryan: Awesome, I’ll just go ahead and dive in! Ok, so when I call back a motivated house seller I like to start the phone call very much like i’d start a call with a friend of mine. You don’t want to go straight to the numbers and the deal. I’ll dive into my basic structure for talking to motivated sellers in this post. I’m not really going to give a “motivated seller phone script” mainly because I feel that when you use scripts things don’t come off as authentic and real. So I’d be doing a dis-service to you if I told you to “grab my script and just use this”. We’ll focus on the overall structure and mindset. Another great resource is my own coach Sean T. and this video he made about the process of talking with motivated sellers. It’s great so couple that with my 6 questions below. I know you’re probably thinking, “Really? That’s one of the 6 questions?”. But it’s an important one. I ask this because I’ve found that people don’t care what you know, until they know that you care. This question is about the RAPPORT building, that is a must when talking to sellers. You have to remember that there are hundreds of thousands of people doing exactly what you do, WHAT SEPARATES YOU FROM THE REST OF THE OTHER PEOPLE THAT WANT TO BUY THEIR HOUSE? People tend to do business with people that they like and a simple THOUGHT FELT QUESTION like “How is your day?” can separate you from the pack. One particular deal that comes to mind is the one that we recently obtained. The seller told me she was bombarded by wholesalers. I asked her what stood out about me and our company and she said, she was about to lose her house to foreclosure and it seemed like I was the one who “cared” the most. Needless to say. $120,000 profit later CARING IS SHARING…lol. Knowing the motivation of your sellers is of course a big deal. I ask this question to determine the motivation. If the motivation isn’t there, when you present your low offer, you have no purpose to reference. Motivation factor: The dire need for money to pay for college tuition that cost $5500 this semester. And school starts in 3 weeks. I can close by mid next week so that you can MEET YOUR REGISTRATION DEADLINE. Too many investors discount the value they bring to the table with sellers and buyers and talk themselves out of a great deal. Find the true motivation and biggest pain point that the house seller has, and help them reach that goal as easily as possible. It could be a huge win-win for everyone. Finding the motivation allows you to take their minds off the low offer you have presented, and focus on being the SOLUTION to their problem. Did you notice this isn’t the first thing I asked for on the call? A lot of people dive right in and ask for the contact info but what I’ve found is people can see it as threatening and putting the cart before the horse a bit. By this time I of course already have their phone number, but I’ll also confirm if this is their BEST phone number. The importance of this information is because the FORTUNE IS IN THE FOLLOW UP. 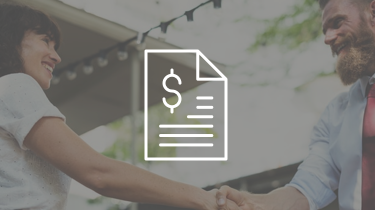 TIP: EVERY SELLER NO MATTER WHAT GETS AN EMAILED CONTRACT OFFER FROM ME. EVERY SINGLE SELLER, EVEN IF THEY REJECTED MY OFFER. And for the next year they will receive an automated email and text from me monthly. Most people do business with you on the 5th thru the 12th contact. So by you following up with leads, you OUT PERFORM 98% of your competition. Use automated systems such as AWeber or MailChimp for drip systems or do follow up emails for later dates. Or, Callfire for text deliveries. Find a way to automate your follow up and your life will be much easier. 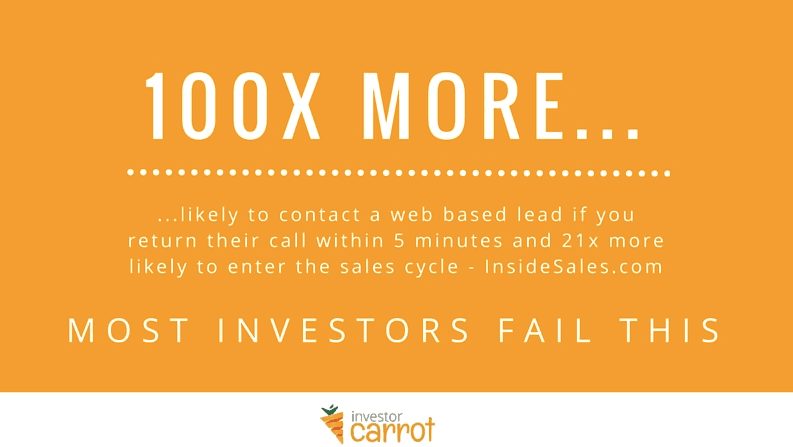 InvestorCarrot integrates with Aweber and Mailchimp directly and makes it easy to get my leads into Callfire too. This is a really important question. The last thing you want is to get down to it and the person you’re talking too can’t really make the decision on selling their house alone. I like to always double check to make sure there isn’t anyone else on the title that need to sign in order to sell the property. If there are, find a time to discuss their options with all of the decision makers present. Knowing if you are speaking with the decision maker is very important information needed upfront. In addition to just the obvious reasons, this keeps down surprises… this question is a really great one to continue to build rapport. 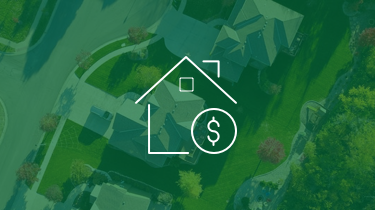 You may have made an offer based on the house being free and clear and not knowing there was a mortgage attached, you get to closing table and find out there is an outstanding lien and the seller says, you didn’t ask that question. Always find out all of the details on the house so you don’t have any last minute surprises when it comes time to close on the property. You’ll thank me later for this one. This question is so so simple, but very powerful. How many sellers have you asked this question to recently? Not only does this question help them dig through their brain bank to remember what stood out about us… which helps validate their original decision to reach out to us… but this helps me spend my marketing dollars where I am getting the most bang for my bucks. Knowing where my leads come from is crucial information for any business. If this question is not asked, you will need review your business weekly. The majority of your leads may be coming from one specific source and the only way to effectively know is to ask this question. Now Get Busy + What Do You Ask Sellers When You Call Them? First, if you have some other things you talk to motivated house sellers about when you’re on the phone with them… let us know in the questions panel below! Bryan! Thanks for dropping in here and passing along some simple but awesome advice for the newer real estate wholesalers and flippers out there looking for a script and questions to ask for motivated house sellers! We appreciate it and look forward to bringing you back and diving into even more advanced stuff next time! But for some inspiration, here is a Facebook post that Bryan recently posted that should get you fired up to achieve at a high level and to focus on what you do best and align with the people and systems that can help you succeed. So, given today’s challenging real estate market, you want to treat lead inquiries like diamonds. I’m sure there are many more questions you could ask, but these 6 should get you started. [Free Download] 6 Initial Questions to Ask Motivated Seller Leads Checklist. Keep it near you for an easy reminder of the initial questions to ask. Need More Online Leads For Your Wholesaling / House Flipping Business? Generate More Real Estate Investing Leads And Cut Through The Marketing Clutter In Your Market. 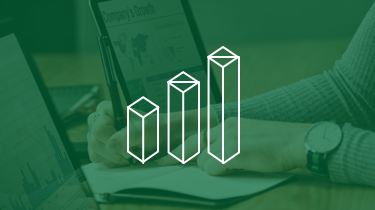 Download out FREE Marketing Toolkit: Get Access To This Content Marketing Toolkit + Training For Real Estate Investors here! And take a Demo of InvestorCarrot today to leverage the same system that Bryan uses to generate his online leads and deals each and every month. Brendan Holmes is a PPC and SEO junkie who loves experimenting with various Internet marketing techniques. He is a Google Partners & Bing Ads certified professional with experience in internet lead generation, advertising sales, and revenue growth. That’s a lot of ppc deals! How many markets is he in? What is the total population being advertised to online? Ya it’s not all PPC deals, as he says in that Facebook post we showed it’s driven by PPC but also referrals from past sellers (really shows the importance of having a solid referral program for your sellers) and working w/ wholesalers. But a caveat in this is this isn’t a bunch of $3k deals. One deal alone in one month netted him $80k+. He’d been working that lead for a long time and it finally came to fruition w/ the followup sequences he has in place on his Carrot leads. As far as areas, we’re doing the PPC for him in-house (Brendan the guy he mentions is on our Carrot staff) and from what I know it’s just the Memphis area… no other major cities. 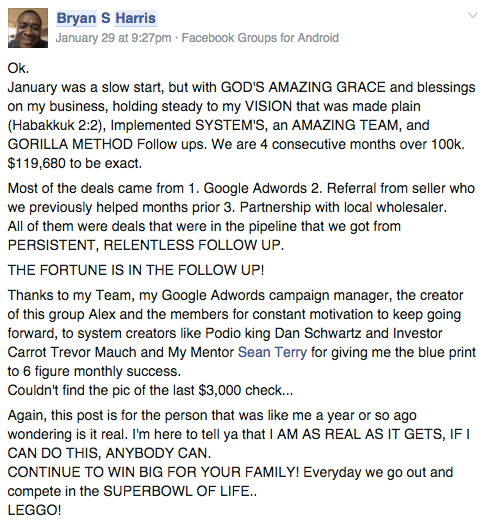 Bryan is just a beast at followup and is spending a lot in PPC ($3k+/mo). I love this website and service! Woo hoo! Thanks for the props! Is this the only 6 questions he ask on a seller lead call? These probably aren’t all of the questions he asks but they are 6 of the most important ones to crack through at the start I know. After these he then starts to lead into what they’re looking at getting… but we’ll have Bryan come over here and jot down a comment on some of the other things he asks! These are just the basic 6 questions. Everything else is setting appts and following up. Hi Bryan. This might be a strange place for me to ask this, but would you be interested in being featured on an a podcast interview? My team leader, has seen you around, and really likes your heart. If you’d like to take this convo offline, could you send me an email at jaren@simplewholesaling.com? Great article. Thanks for putting this out there Trevor! 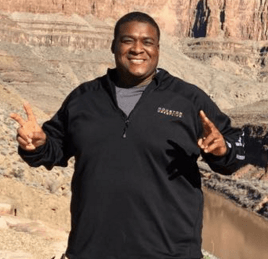 Bryan Harris – you are the MAN!!! “How did you hear about us?” That question is so powerful. Asking that question help’s monitor lead generation! Great stuff! This is really good content!